Lots of fly tying books provide recipes for the tying materials that go into flies. But, learning how to do things remains the biggest problem for most fly tiers. Clear, jargon-free verbal instructions and a vast number of step-by-step photo illustrations make Tying Better Flies the most easy-to-use tying guide yet. Rather than teach abstract techniques, Scheck constructs each tying lesson around a particular fly. That fly becomes a model for other patterns. You'll understand the mechanics of building a good fly that will hold together and will catch fish. make Tying Better Flies covers a wide range of flies and techniques ranging from muddler minnows to delicate dry flies to nymphs, streamers, and clouser minnows. 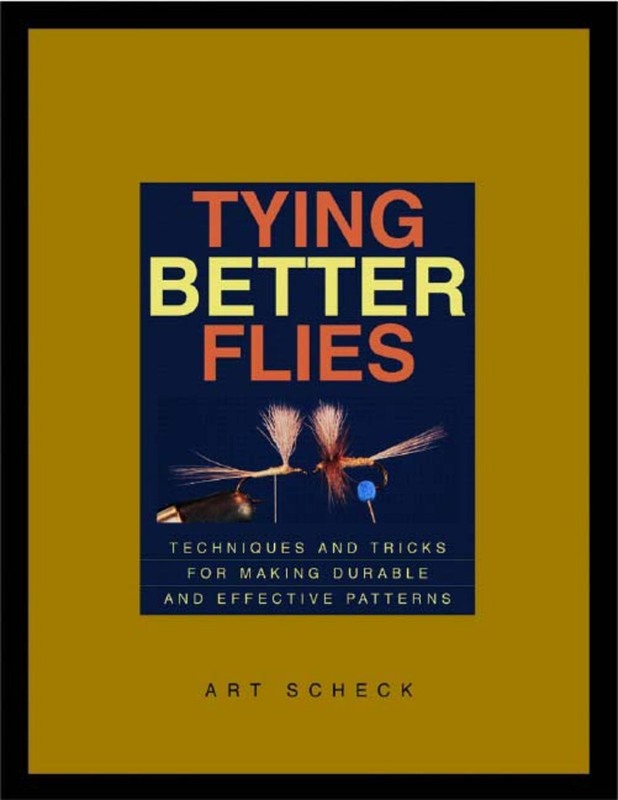 Art Scheck is known as one of the best explainers of fly tying in the country. His no-nonsense, innovative tying ideas have appeared in many major fishing publications. Now Scheck shares the wealth by giving the reader a multitude of tips and insights on tying many of the most important flies in the fishing arsenal. 200 color photographs. Art Scheck is the editor of Saltwater Fly Fishing magazine and a columnist for Fly Tyer; he is a former editor of Fly Tyer and American Angler magazines and has written dozens of articles on fly fishing and fly tying for these and other periodicals. He lives in Anderson, South Carolina.